Iranian officials are beginning to broach the previously taboo topic of religious discrimination in Iran. On the same day, two government officials publicly discussed discriminatory policies against Baha’is, one of Iran’s most severely persecuted minority faiths. “Today we have students being illegally denied entry into universities for belonging to a different religion,” said member of Parliament Mahmoud Sadeghi at a conference at Tarbiat Modares University in Tehran on November 4, 2017. “Education is a human right that should be accessible to all citizens, based on Article 30 of the Constitution,” added Sadeghi. While not naming a specific religion, Sadeghi’s comments were focused on members of the Baha’i faith, who continue to be denied the right to higher education in Iran, either by being banned from entering university or being expelled without a proper explanation once enrolled in the school. Iran’s Constitution does not recognize the Baha’i faith as an official religion. Although Article 23 states that “no one may be molested or taken to task simply for holding a certain belief,” followers of the faith are denied many basic rights. However, according to Article 1of the Supreme Cultural Revolution Council’s student qualification regulations, which were approved by Supreme Leader Ali Khamenei in 1991, students who take the national university enrollment exam must be either Muslim or followers of other constitutionally recognized religions. Article 3 states that if a student is discovered to be Baha’i after they’ve enrolled in university, he or she will be expelled. 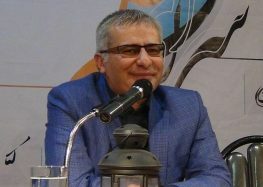 The same day Sadeghi publicly spoke about the discriminatory policy against the Baha’is, Iran’s Vice President for Citizens’ Rights Affairs Shahindokht Mowlaverdi announced that the Rouhani government will “find a solution” to the ongoing closures of businesses owned by members of the minority faith. “The president’s office for legal affairs has been asked about the closure of businesses owned by Baha’is,” said Mowlaverdi at a seminar on citizens’ rights at Shahid Beheshti University in Tehran on November 4, 2017. On November 12, 2017, a professor accused of insulting Islam and Supreme Leader Ali Khamenei was expelled from Islamic Azad University of Arak south of Tehran and convicted of the charges. His name has not been released. “The law has to be reformed to ensure academics cannot be suspended without a court order,” said Sadeghi. “The lack of clarity has created grounds for suspending many academics,” he added.